Rob Barber is set to compete on a iconic machine at this years Isle of Man TT, the late but great Lee Vernon’s Kawasaki ER6 super-twin that Lee competed on during the lightweight TT in 2012. For Rob Barber competing on the bike that Lee competed on at the TT last year is a great honour. Whilst its great to see that Lee’s memory will live on in the racing paddock. 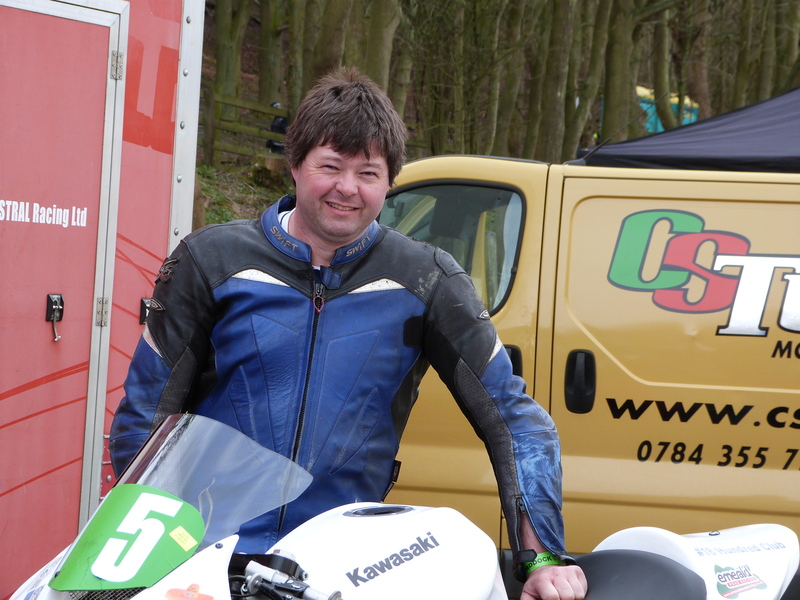 At the Ian Watson spring cup road races at Oliver’s Mount in April Kevin Strowger competed on the same bike as Rob Barber will compete on at the TT. Kevin achieved top 20 finishes in the super-twin races, the bike is sponsored by Brian Scott and remains in the same colour scheme as scene at the TT in 2012 when Lee competed on it. In all seeing Lee’s Kawasaki ER6 super-twin back out on track is great to see and as I say it means Lee’s legacy in the racing paddock will continue. Kevin Strowger pictured next to Lee’s Kawasaki ER6 super-twin that Kevin competed on at the Ian Watson spring cup road races.